"The 'Silent Thief' and Crippling Costs of Poor Health Habits"
Discover simple training tips to avoid poor health habits. Think back to when you were a kid. Remember those rainy Sundays when you couldn't play out? Well, it wasn't all bad. When the weather turned gloomy in our neighborhood, if often meant an afternoon spent on the sofa watching the matinee. Back then there was no digital or satellite television. In the UK, we had just three channels to choose from (hard to believe, I know), but that was okay. More likely than not you could still find a classic movie to entertain you. One of my favorite actors from this Hollywood heyday was Cary Grant. Suave and effortlessly cool, he always delivered his performances with a glint in his eye. 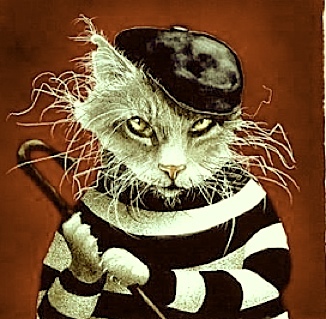 A lovable charmer, Grant was the perfect choice to play retired burglar The Cat in the Hitchcock comedy "To Catch a Thief". Partnered with the glamorous Grace Kelly, they provided a giddy romp through the French Riviera that became a cinematic treat. So how does this meander down memory lane help your training? Well, not all thieves are lovable charmers. Some can cripple your health and crush your energy. Gary Keller writes about this in his bestseller "The One Thing". He tells how personal energy mismanagement is a silent thief of productivity, and how "crashing and burning" is a direct consequence of poor health habits. These health habits include staying up late, eating poorly, or completely ignoring exercise. Personal energy soon becomes an afterthought leading to a myriad of health problems. Keller suggests you think of your body as an amazing biological machine. Requiring nutritious food to fuel your body, he goes on to promote exercise to relieve stress and strengthen your body. He says, "Conditioning gives you maximum capacity, which is critical for maximum productivity." And what is the best type of exercise? Regular visitors to my site already know the answer: It's weight training with all of its amazing health giving benefits. It is also the perfect way to catch a thief.